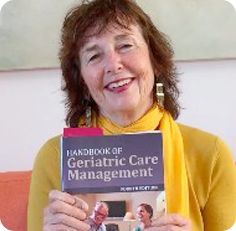 Are you an aging professional or geriatric care manager? Here are five more symptoms and family interactions you might see in an aging dysfunctional family if you do an intake over the holiday season. 6. 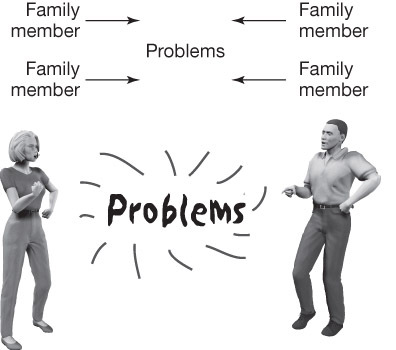 Triangulation – Tension between two family members causes one to enlist a third family member to avoid change. For example, two adult children object to the cost of care of an aging parent. They gang up on the third adult sibling who thinks the cost of care is reasonable and justified. 7.Sense of Entitlement –Wealthy siblings, who are accustomed to purchasing services they need to solve problems instead of personally solving the problems themselves. They hire nannies for children, like Mary Poppins, even though they are not working parents. The nanny deals with the day-to-day problems of childhood. This lack of engagement leaves them, unprepared and unwilling in getting involved in solving midlife sibling or aging family tribulations. 8.Narcissism – One or more siblings has an “it’s all about me” attitude and other siblings resent this. The self-absorbed sibling either does not participate in solving sibling or family troubles or makes them worse. 9. Needy Adult Children – These adults feel starved for affection and often seek affection from professionals and other people in their lives to compensate for the care they didn’t receive as children. 10. Substance and Other Abuse – The family has a history of drug, alcohol and/or child abuse.